Whoever said that watching television was bad for you and a waste of time obviously wasn’t aware of all the learning possibilities that are available! It has become an inescapable part of modern culture. 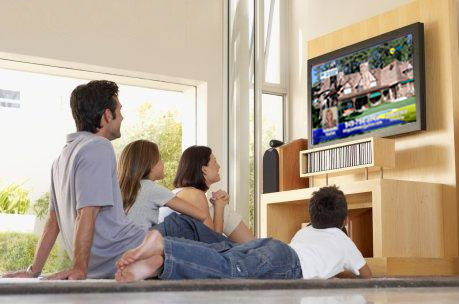 We depend on television for entertainment, news, culture, weather, sports, as well as education. Sure there are some stations that are completely zone out types. However, there is truly a plethora of shows and stations that allow you to expand your mind, step into another world, and explore a whole new hobby from the comfort of your couch or chair! Regardless of what you are watching, there is a good chance a business mind was behind that. Television is meant to be marketable to the masses; essentially, someone is selling a product of entertainment. Marketers and advertisers need to make their product memorable, just like you might need to make your flashcards or theory memorable for the next class or presentation for work. So how do they do this? Exaggerate the mundane! Truthfully pneumonic devices and alliterations, often the more outlandish, more memorable the information will become. Use of color also has impeccable advantages, what out color theorists; the art history and studio art students also had something up their sleeve! While warm colors excite and stimulate, using varying colors of pens will separate ideas, keep you engaged, and stimulate your mind making ideas more memorable. Finally, characters in television know how to evoke those emotions. But how do emotions help us learn new information? Ever seen people doodles in classes? Cartooning emotions also help us remember and synthesize information. Rather than focusing on all the details, doodles actually expedite a learning process because you quickly need to put the most important information into make the doodle memorable and accurate. Asking your brain to do this quickly therefore is an exercise not only for your brain, but for your reaction to material as well. History channel and Discovery channels encourage us to explore a world we may not have lived in and maybe never will. However the connection to each of these can really spark the imagination and plunge us into a further search for answers. What is great is that both of these shows talk about world history and natural history, the earthen phenomenon and life cycle are at your fingertips. Cooking shows Talk about culture and trying something new! There are many shows that offer authentic recipes from all over the world, exposing you to new flavors and cooking styles. What better than to learn this true art than from an expert, and in a way that you can see exactly what their hands are doing from a clear angle (unlike seminar cooking classes). DIY and home improvement There are so many creative shows that allow you to put your own hands in the dirt so to speak, get creative, and have the satisfaction of the fact you created this end product. Be it home renovation, a door wreath, or crafts with the kids, there are so many options to explore a new material or new angle of what you’re already capable of. Medical shows Have you ever heard of the phenomenon where you can’t help but look at the gruesome car accident on your drive home? That’s part of a human condition related to death (fear, complex, unknown). So many of us watching medical shows are gaining some medical vernacular that we otherwise never would have. This will help as we go into routine or unexpected surgeries as well as our older family and friends. News Stations keep us abreast of what is going on in our local communities and engage a younger generation in taking interest in what is happing around them. Seeking international news as well as news that provides more informative and less biased news is a personal journey for each consumer. Children’s Channels can provide basic learning such as colors, numbers, social learning, as well as introduction to foreign languages. When finding good programs for your child ask yourself if the program encourages children to use their imaginations, be active, or creative; how does the program represent gender and diversity; and what emotional effect will the program have on your child? Start looking for TV options in your area to jumpstart your imagination and your child’s creativity, you won’t regret it!